This tiny little hobbit hole is sure to invite mystical visitors to your terrarium or garden. 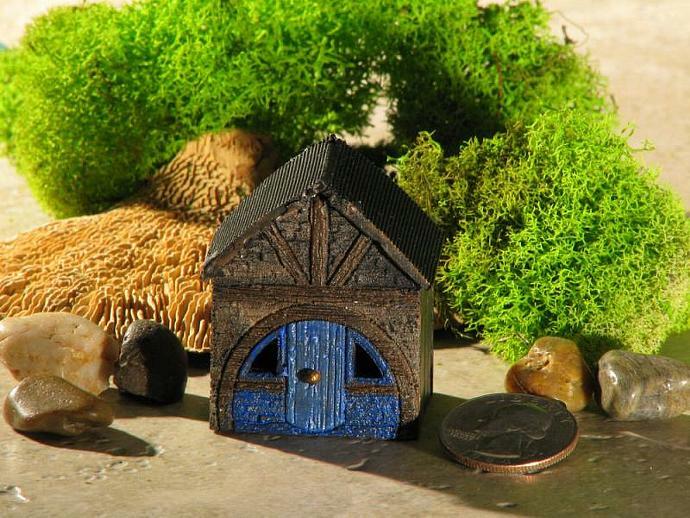 At 1.5 inches tall, this little resin house is easy to plant in the smallest of spaces and delight Hobbit lovers of all ages. The house is hollow to allow for lighting and painted bronze and white to reflect any lights placed inside. 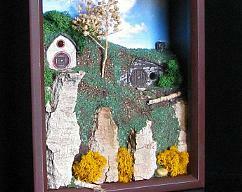 Add moss, rocks, tiny trees or any other little tidbits to decorate around your Hobbit hole. The door knob is made from a tiny sewing pin. 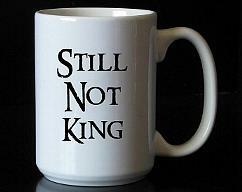 You can easily replace it with a different pin if you choose. This piece is painted brown with blue trim and brown roof. Moss and Rocks NOT INCLUDED. House and paint are waterproof and should give you years of great looks indoors or out.